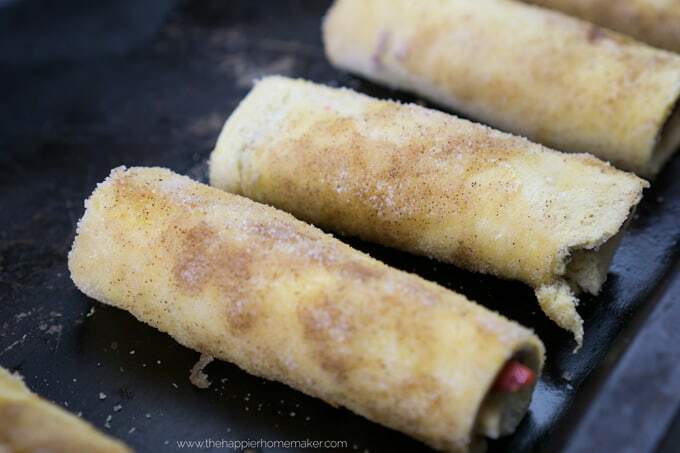 A while back I got in a “Roll Up” obsession-remember my Grilled Cheese Roll Ups and Apple Pie Roll Ups? 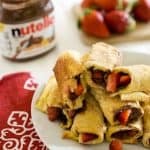 Well, I’m back at it today with these Strawberry Nutella Roll Ups that are now my favorite roll up recipe to date! 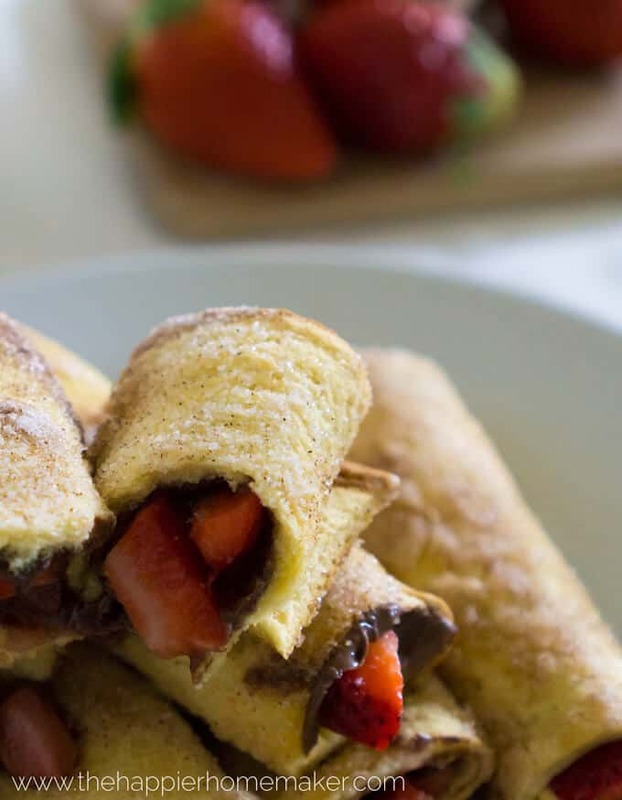 These roll ups are easy to make, baked, and addictive-it’s hard to eat just one! Preheat oven to 350 degrees. Use a rolling pin to flatten bread (or use the palm of your hand.) Trim crusts if desired. 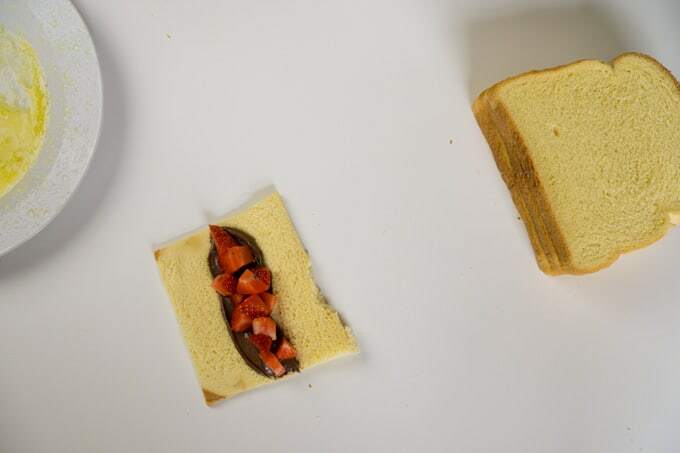 Spread a generous layer of Nutella in a line down the center of the bread. Top with one chopped strawberry. Roll the bread around the filling and coat with butter. Roll in cinnamon sugar and place seam side down on a baking sheet. 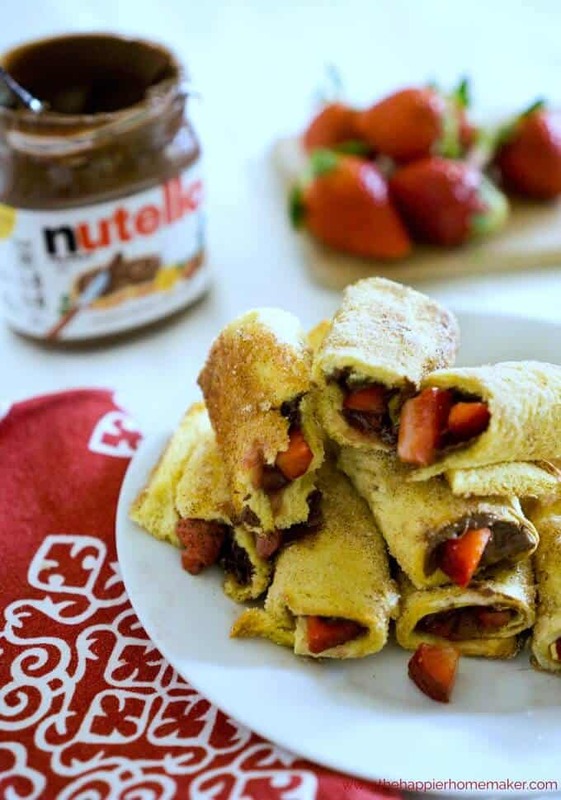 Spread a generous layer of Nutella in a line down the center of the bread. Top with one chopped strawberry. 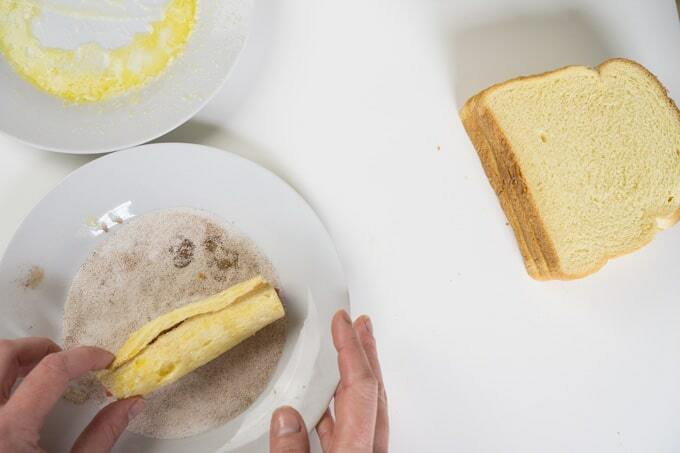 Roll the bread around the filling and coat with butter. Roll in cinnamon sugar and place seam side down on a baking sheet. Let sit 5 minutes prior to serving.